It took a few minutes for her to warm up to me and wanting her photo taken. But, once she warmed up to me she didn’t want to stop! She could have had her photo taken for much much longer than we went! Adorable as all get out! That little giggle and grin were just heart warming and perfection. Plus, mom is just gorgeous. These two combine were just too much for me! Those red nails, lipstick and the purple tights were my absolute favorite! Such a cool fashion sense! 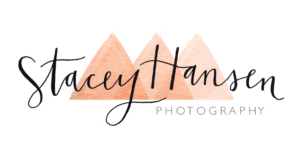 Themed Mini Sessions are our jam at Stacey Hansen Photography. We LOVE creating a fun set up for 4 holidays every year. Themed mini sessions include Valentine’s, Easter/Spring, Halloween, and Christmas. Capturing cute kids during those main events every year is so much fun. These are some of our favorite sessions every year! Our studio is perfect for Themed Mini Sessions. We can make exceptions for some clients and take these outdoors. Please inquire!